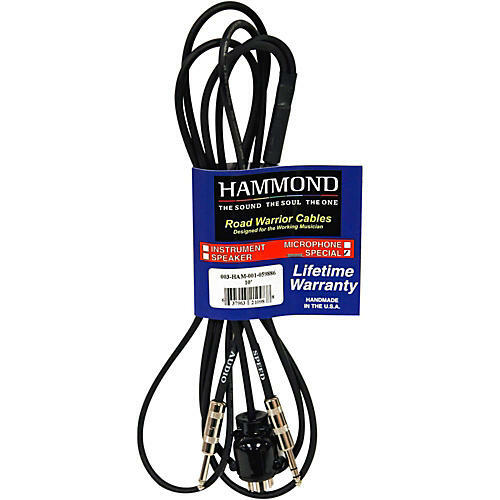 Hammond 11 Pin - Dual 1/4 Inch Mono TS/TRS Adapter Cable 10 ft. Essential accessory for the XK. The cable connects a XK 11 pin organ to the Studio 12. Length 10 feet. Controls fast and slow speed from tabs. Built to Hammond's uncompromising quality standards.